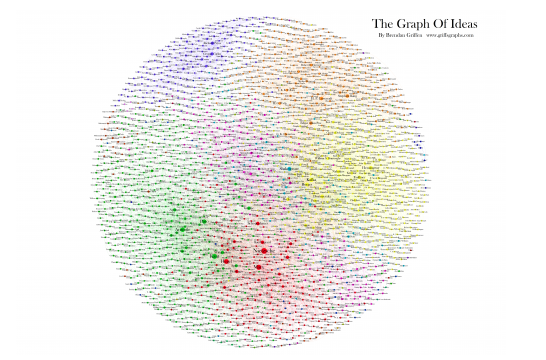 Taking everyone and anyone from Wikipedia, Griff’s graphs ambitiously maps all people whose wiki contains ‘influences’ and/or ‘influenced by’. 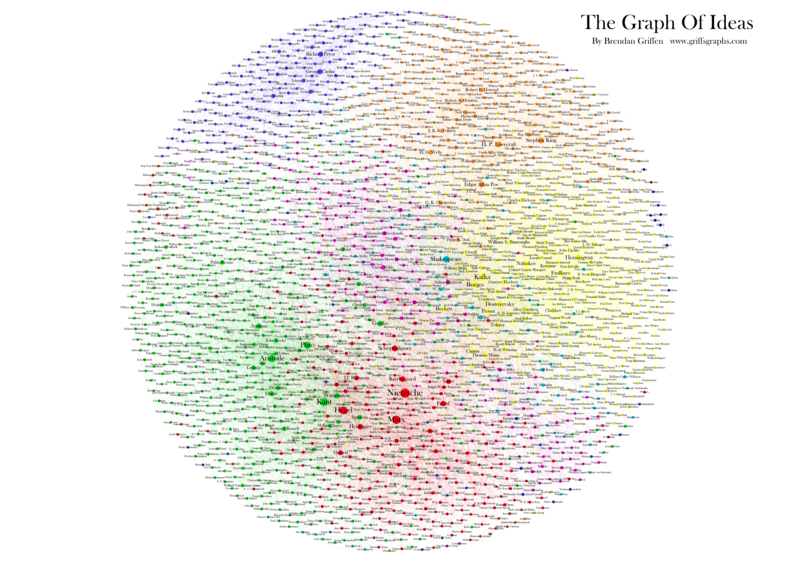 The result is an amazing Gephi visualization of philosophers, authors, and comedians (! ), displaying the popular influencer with larger nodes. Note: the graph is biased towards Western ideologies and culture, and missing many influential people that are not recorded in Wiki. Read the full article.